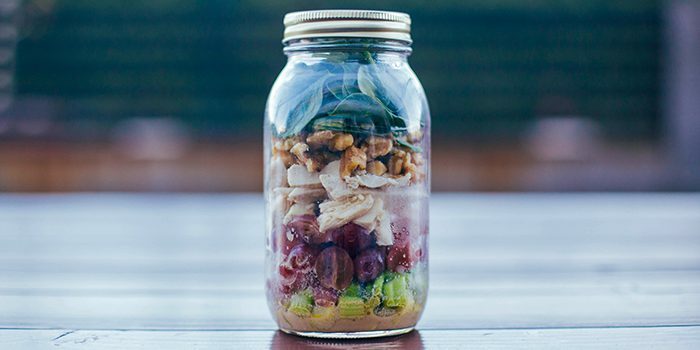 Grab this Mason jar salad and go anywhere! 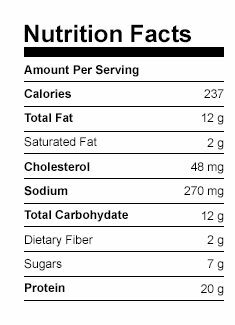 The combination of chicken and spinach, with walnuts and sweet grapes tastes like a gourmet salad from a restaurant. It’s got a flavorful mustard and herb dressing that’s so simple to make, you might find yourself whipping up an extra batch to keep in the fridge for other meals. The dressing also makes a great marinade for chicken, or drizzle on top of steamed vegetables. Combine vinegar, oil, mustard, and tarragon in a small bowl; whisk to blend. Evenly divide dressing between 4 half-pint Mason jars. Set aside. 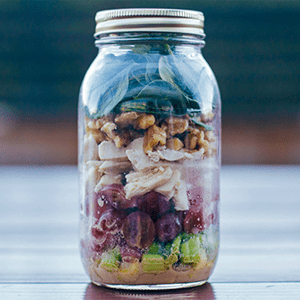 Evenly layer celery, chicken, grapes, spinach, and walnuts on top of dressing in jars.